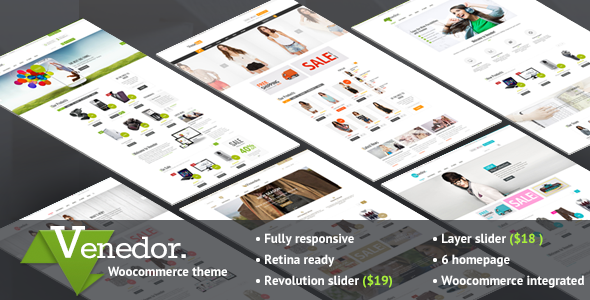 Venedor is Ultimate Multi-Purpose WordPress Theme that is extremely customizable, easy to use and fully responsive. Suitable for every type of business, portfolio, blog and ecommerce sites. Great as a starting point for your custom projects. Venedor includes 5 different skins and its very beautiful on mobile devices.